Honda Autoparts Manufacturing (M) Sdn Bhd pada bulan Februari hingga Mac 2016 ini membuka peluang kerjaya terkini. Iklan jawatan kosong Honda Autoparts Manufacturing Johor terkini untuk kekosongan jawatan dbawah ini. Rakyat Negeri Johor Darul Ta`zim atau Warganegara Malaysia yang berminat kerja di Honda Autoparts Manufacturing (M) Sdn Bhd dan berkelayakan diminta untuk memohon. 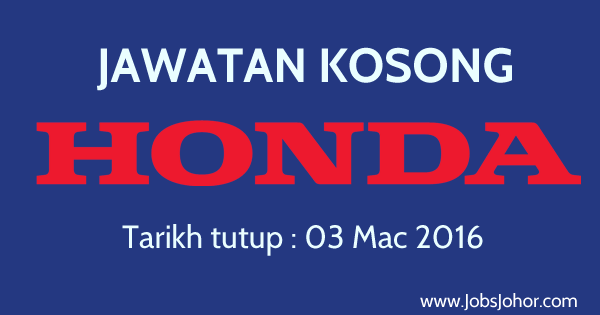 Jawatan Kosong di Honda Autoparts Manufacturing Pasir Gudang Johor 2016. - Candidate must possess at least a Bachelor's Degree, most preferred from Japan. - Must be well-conversant in Japanese, Bahasa Malaysia and English. - Able to read and write fluently in Japanese and English. - At least 1 year working experience in the related field. - Full time position available. - Degree in Computer Science or its equivalent. - Minimum 3 years experience in system and network administration, security, support and maintenance. - Hands-on experience with strong knowledge in system and networks security, TCP/IP, LAN, WAN, SQL Server, wireless network, firewall, switches, etc. - Preferably 2 - 3 years working in Lotus Domino, Notes or Microsoft Exchange email system. - Able to work under minimum supervision and has the sense of urgency in responding to system problems and service commitments. Gudang, 81700 Pasir Gudang, Johor, Malaysia. Tarikh tutup : 03 Mac 2016. 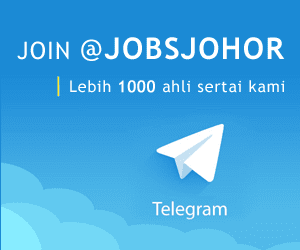 Sumber iklan jawatan Honda Autoparts Manufacturing (M) Sdn Bhd Johor 2016, syarat kelayakan dan cara permohonan sila layari laman web JOBSTREET disini.